100 yen shops in Japan are really amazing. You can find really everything for your apartment for a reasonable price there. Often when renting an apartment in Japan many things like nails in the wall, coat hooks or putting in a curtain rod is not allowed. 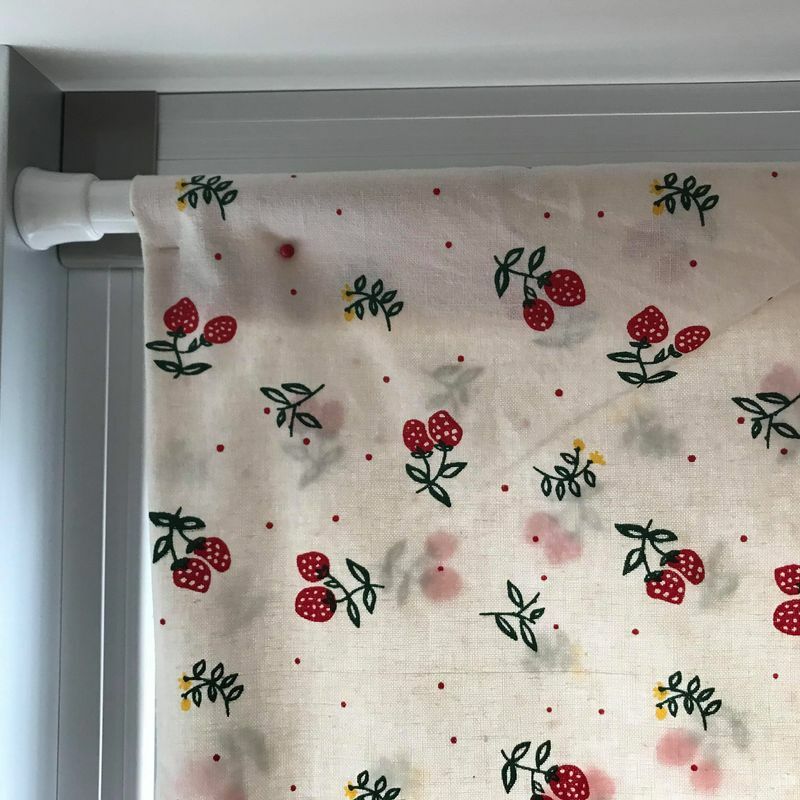 Many apartments already have something to hang your curtains on, but some do not and you'll need to find a way to put up a curtain. For that case I've found a very simple and reasonable solution at the 100 shops. You can buy a white rod in different sizes there, which are also adjustable in their length, up to 1 meter. You can easily put these rods between the frame of your window and put a light curtain on them. No need for nailing or glue! Since the size can be adjusted universally, it fits perfectly for any kind of window. Also, the white rod is very functional. 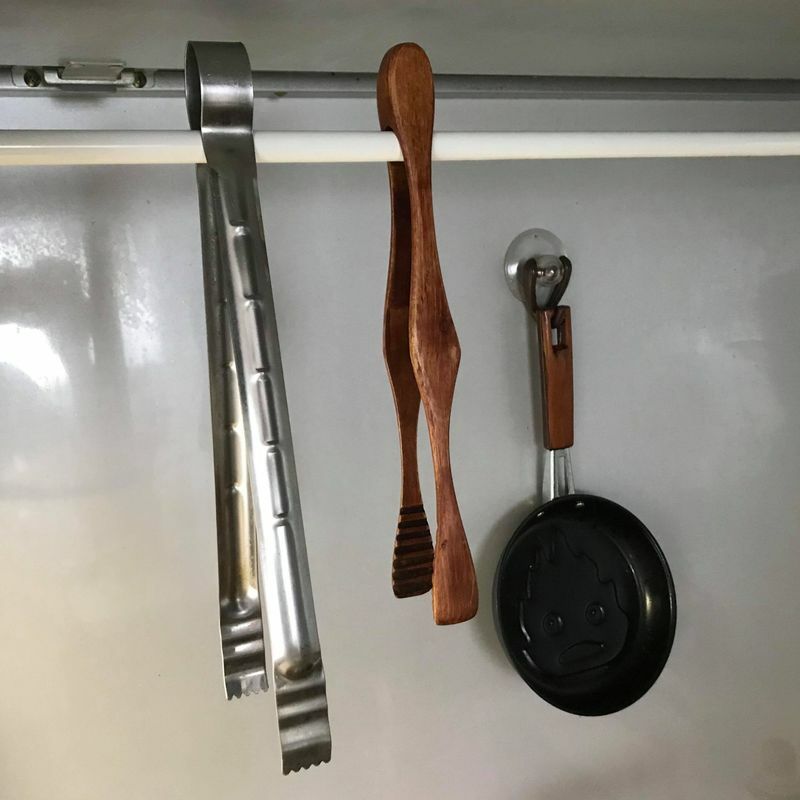 You can use it in the kitchen for putting all your cooking utensils on the wall. 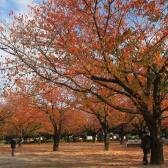 Please be sure that it will not get too heavy otherwise things may fall down. A solution might be to put some easy removable tape on it. 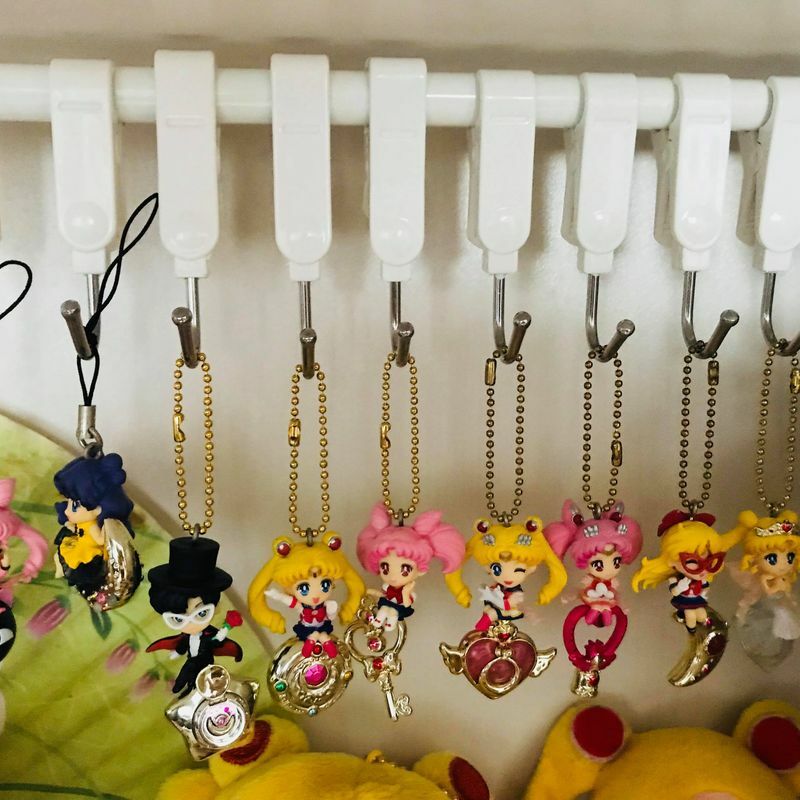 If you like anime or just like to collect key holders, you can use these rods to decorate shelves with your many key holders. Japan's 100 shops also sell very nice clips for hanging things on the white rod. Be careful to buy the right size though. It is really space saving and also looks good. I was able to put around 30 key holders on it, which is very helpful, otherwise they would just lay around and look like a mess. After moving out of an apartment you can easily just put them all away without having any trouble with the landlord and use them again in your new apartment.